Welcome to the luxurious Domaine d'Oléron campsite! Located on the lovely island of Ile d’Oléron on the French Atlantic coast, the luxury camping site of Domaine d'Oléron is perfectly situated to enjoy the unspoilt splendour of the island’s beaches and countryside. Why stay at Domaine d'Oléron? 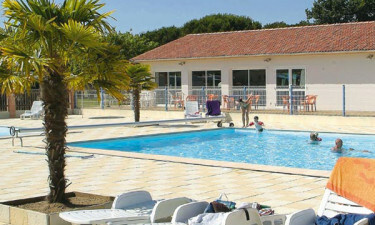 For a family camping holiday away from all the noise and hectic rush of the city, Domaine d'Oléron simply can’t be beat. Come and recharge your batteries in a beautiful, natural environment. Relax on sandy beaches, enjoy the tranquillity of the lush forested interior and sample the leisurely rhythm of island life in the charming villages and picturesque fishing ports. A dip in the outdoor heated family pool or heated children’s pool with water slides is an invigorating way to start the morning. The large terrace area has sun-loungers for drying off or relaxing in the sunshine while the kids play in the water. 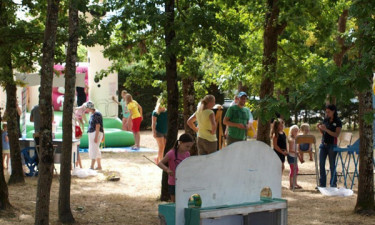 Football, table tennis and boules, plus a playground with swings and slides provide opportunities for parents and children alike to unwind and socialise with fellow campers. With Domaine d'Oléron as your luxury camping base, consider the island a giant adventure park to explore at your leisure. Hire mountain bikes for the whole family and set off for days of idyllic sightseeing and fun. The long sandy beaches of Foulerot and Plaisance are just 3km away and ideal for a family day at the seaside. 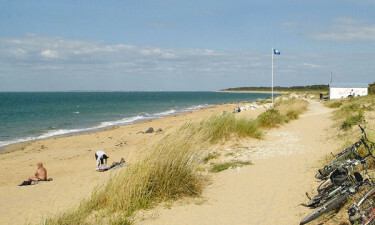 The Plage des Saumonards is a magnificent beach accessed through the pine forest and over the dunes. Surfing, windsurfing, kitesurfing, scuba diving, kayaking and dinghy sailing are popular water sports with equipment hire and lessons available locally. The pine forest, Forêt des Saumonards, also has wonderful cycling trails. 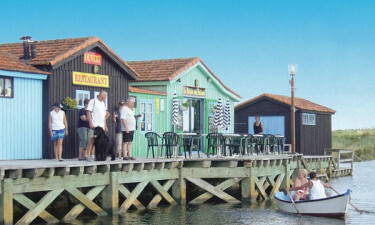 To explore the island, try the Route des Huîtres. The beautiful botanical gardens of Les Jardins Botaniques de la Boirie should also not be missed, inhale deeply and allow your senses to absorb the wonderful aromas of sage and many rare species of plant. For a tour of the island with young children, why not take Le Petit Train from St Trojan les Bains. The Le Marais aux Oiseaux bird sanctuary is a beautiful spot and home to over 300 birds, including the elusive kingfisher. Climb the many steps of the black and white striped lighthouse at Pointe du Chassiron and be rewarded with a superb view of the island. The town of Le Château d’Oléron with its 17th century citadel is another must. Sample the finest seafood in the port restaurants of La Cotinière. There is a takeaway service and bar on site. The village of St Georges d'Oléron is only 2km away and has wonderful markets, restaurants, shops, bars and cafés.